Earlier this month, Dave Burgess shared a great tweet of a slide from Amy Fast's presentation at What Great Educators Do Differently in Houston. It's true. It's so important to do the emotional work, your emotional work to connect and care and empathize, because it influences the emotions of everyone around you. It influences others. How important are emotions? 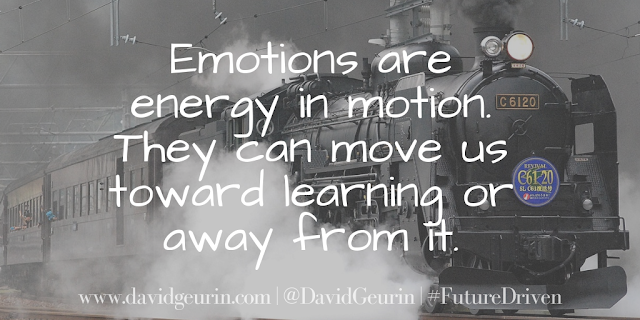 Emotions are "energy in motion." Our emotions are always moving us toward something or away from something. We don't always have to choose to follow those emotions, but they are powerful. Just understand that when a student or colleague is stuck in a performance rut, there is nearly always an emotional component to that. Most people want to succeed and do well, right? They didn't wake up in the morning wanting to fail. But sometimes they lose their way. At some point, their thoughts, beliefs, or feelings start getting in the way. Their words and actions are impacted. They allow the obstacles to weigh them down or stall their progress. We need to create positive emotions in our classrooms and in our schools toward each other, toward learning, and toward making a difference. We need to support each other and believe in each other and never give up on each other. A positive learning environment is a positive emotional environment. How often are there moments in your school that bring great joy, hope, and purpose? Those moments help create a heightened state of emotion. A peak state of emotion leads to a greater sense of motivation. When you are laughing, smiling, encouraging, connecting, complimenting, progressing, and succeeding, you will have more energy, enthusiasm, effort, excitement, enjoyment, engagement and more. When you are frowning, criticizing, isolating, blaming, or complaining, you'll reap what you sow with that too. You'll have less energy. You'll be more tired. You'll be less likely to take a risk or do something great. If you want to increase learning and performance, create an environment that provides for positive emotional support and growth. Create a positive environment. Create an uplifting environment, a fun environment. Bring your best energy. Be intentional to create opportunities for students and colleagues to have more positive emotions. When the emotional environment improves, everyone has a better chance to change and grow and experience more powerful learning and connection. What are ways you create an positive emotional environment in your classroom or school? How do you set the tone each day for connection and care? What behaviors need to be addressed that are damaging the emotional environment? I want to hear from you. Leave a comment below or respond on Facebook or Twitter. Thanks for all you do to bring your positive vibes each and every day! My topic was Great Educators are Risk-Takers and Difference-Makers! When I have the opportunity to work with school districts or speak at conferences, I want to remind educators that we're educating kids for the world they'll live in and not the world we grew up in. It's an central message in my book, Future Driven. The world is changing faster than ever and schools need to be changing too. I always ask, "Is your school a time capsule (static) or a time machine (dynamic)?" We can't afford to teach to a test or simply prepare kids for the next grade level, or even college or career. We're preparing them for life and anything they might face. 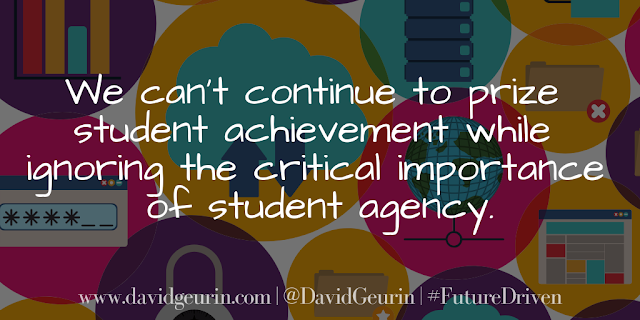 We can't continue to prize student achievement while ignoring the critical importance of student agency. Kids need more opportunities to make decisions and take initiative. 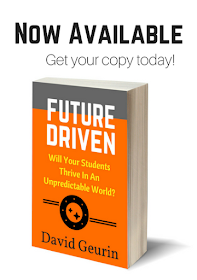 We need to develop future leaders and passionate learners, not just proficient test takers. But I also want to challenge educators. What are you doing with the autonomy you have? Are you pushing limits? Are you challenging the status quo? 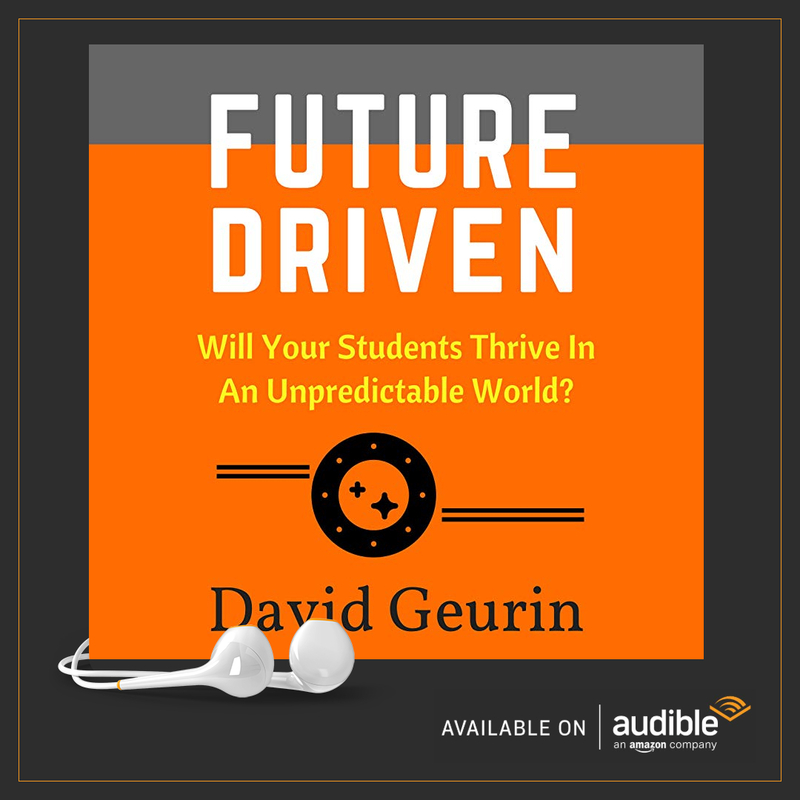 Are you creating extraordinary learning opportunities that prepare students for a complex, unpredictable world? If we're going to crush student apathy, we have to start with addressing teacher apathy. We have to show up strong! 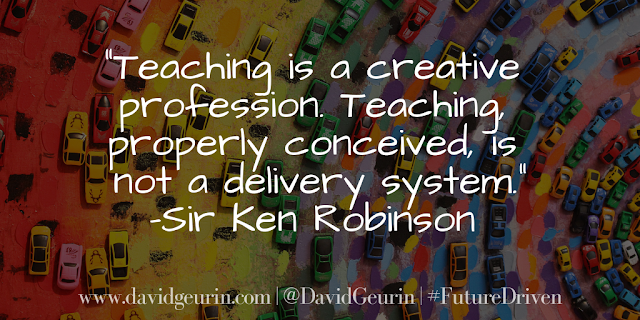 What other future driven questions do you think are relevant for educators to discuss? It's amazing how questions can help us make the best decisions. I want to hear from you. Leave a comment below or respond on Facebook or Twitter. This post is sponsored in partnership with Metaverse. I’ve been experimenting recently with the Metaverse app, and I think it’s a fantastic learning tool for teachers and students. Metaverse allows users to create augmented reality experiences without having to write any of their own code. The possibilities are literally endless for the types of creative projects you can develop. So how does it work? The Metaverse Studio provides a drag and drop interface to build your experience. You simply select different components to add to your “storyboard” and then you link them together. There are all sorts of components to work with. You can even embed your own videos or select videos from YouTube. After you create an experience in the studio, it can be shared in a variety of ways. You can use a link or QR code, send them through email, or even embed them in your website or Learning Management System. To interact with the experience, the user will need the Metaverse App (Android/iOS). Once you’ve downloaded the app, you can tap the link or scan the code to get started. It’s really fun and easy. Teachers and students are creating all sorts of amazing things with Metaverse. You could make a breakout game, create a trivia/review game, develop a scavenger hunt, interactive story, and much more. One school even used Metaverse to create a tour of their school for incoming freshmen. And students were the ones who developed the experience for their peers. Just recently, Metaverse added a new feature to allow teachers to see all of the projects their students are working on, in one place. It’s called Collections. While collections is a paid feature (Metaverse is otherwise FREE), this addition makes Metaverse even more powerful as a student creation station. 1. It develops creative thinking. Students need more opportunities to use creativity in the classroom. 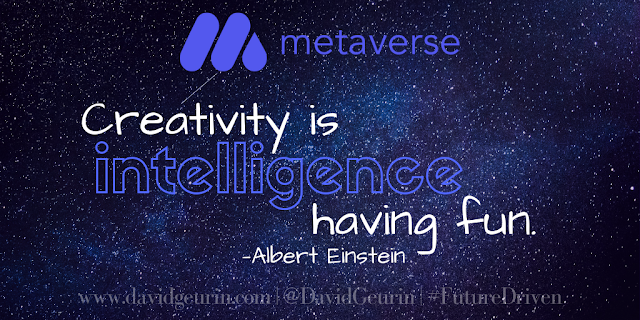 Metaverse provides a platform with endless options for creativity. Students can demonstrate their learning in new and interesting ways. They can make their own game, scavenger hunt, or story to show what they’re learning. 2. It develops reasoning skills. Metaverse has a “storyboard” format that requires lots of if/then logical thinking. To create an experience, students will be using basic thinking skills used in coding, only without the coding. Everything is drag and drop. My cognitive reasoning skills were getting a good workout as I experimented with the tool. Metaverse is a fun way to learn. I showed it to my own kids and they were immediately interested in how it worked and all of the different components that could be linked together. It definitely has a coolness factor that many other education apps lack. Students could work on their project individually or in teams. 4. It helps learners apply what they know. It’s been often said, “No one cares what you know, they only care what you can do with what you know.” Metaverse is a great way to have students do something with what they know. There will no doubt be deeper learning when students create something that demonstrates their learning. 5. It’s a great alternative to traditional paper/pencil assessment. Metaverse projects are a great way to assess learning. The teacher could develop a rubric for the essential learning outcomes and how those will be assessed in the Metaverse experience. As students work on the projects, the teacher could provide ongoing feedback. And students could provide feedback to each other too. Overall, Metaverse is a great way to shift instruction from learning as a delivery system to learning that is a discovery system. The opportunities for engagement and creativity using this tool are unlimited. 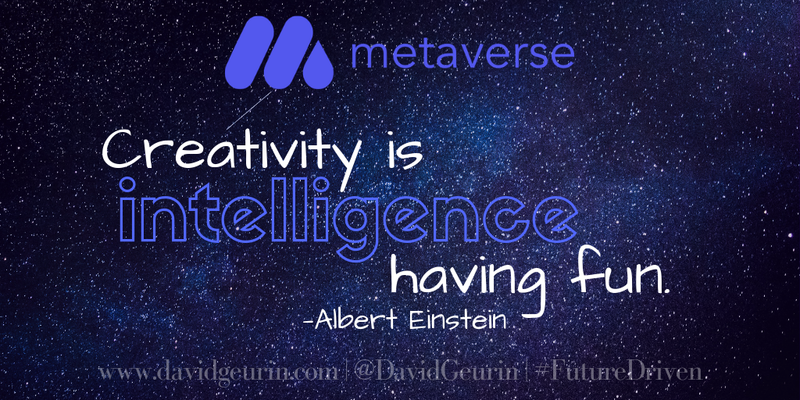 Question: Have you tried Metaverse yet with your students? If not, you should give it a try. Right now you can try out Collections for free for one month using the following code: ARforEDU. Let me know what you think. Leave a comment below or respond on Facebook or Twitter. How do you respond when students don't exhibit the behaviors you would like to see? 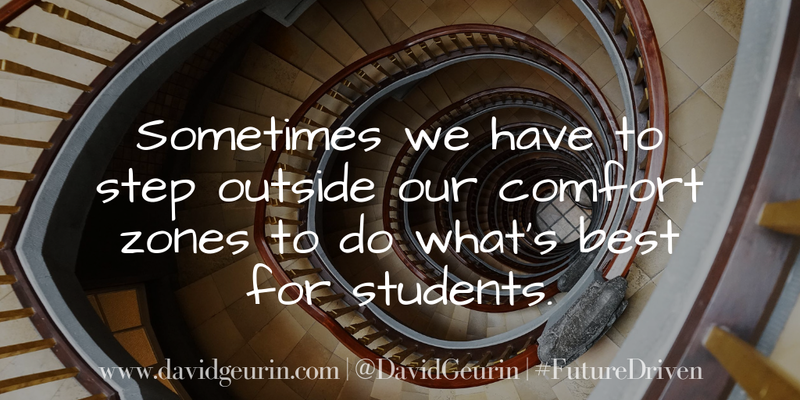 Do you tell students they need to change? Do you lecture them about responsibility or respect? Do you complain to your colleagues about kids these days? Do you punish or reward? How effective are those options? Telling doesn't work. Lectures create distance. Complaining doesn't empower anyone. And rewards and punishments mostly work only to get compliance and not to build better better behavioral skills. But what would be an effective response to harmful behaviors? What can educators do to better address non-learning behaviors? Teaching behavior is better than just punishing behavior. 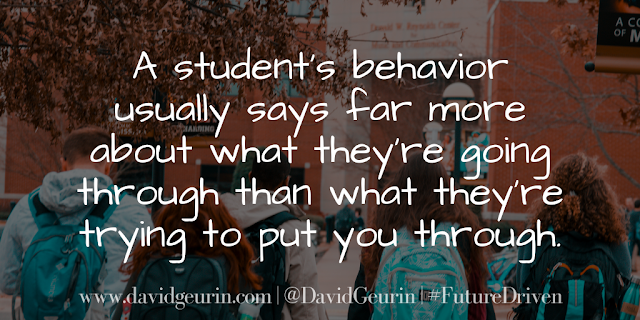 Teach the students the new behaviors you want to see. If they aren't organized, teach them how to be organized. If they aren't respectful, teach them about respect and how to show it. If they aren't responsible, teach them new skills to show responsibility. If they are distracted, teach them how to focus. Break down any behavior into specific skills and teach your students the steps to successfully exhibit the behaviors. 1. Know your own expectations for your students. Have a vision for exactly what you expect. Know exactly what you want to see. 2. Communicate your expectations clearly. Be very specific. Over communicate. Explain why the behavior is important. Use stories and examples to make it clear. 3. Build relationships. Students will always learn behavior lessons better from someone that's trusted and connected. 4. Discuss unwanted behaviors with your students. Don't tell. Ask questions. Listen. Understand. 5. Give students feedback on how they're doing. Correct them. Direct them. But most of all, encourage them. 6. 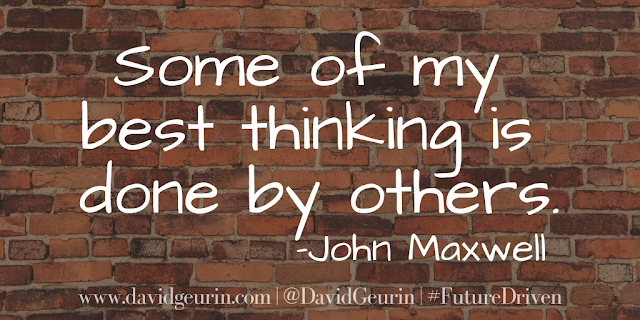 Facilitate reflection with your students. Ask them to think about their own behavior and how they are learning and growing. Track progress. 7. Offer a fresh start each day. Don't bring up previous mistakes except as a teaching opportunity but never to shame or gain the upper hand. Be patient. 8. Always protect the dignity of each child. Don't lose your cool and say something harmful. Don't use shame or guilt to motivate. How would you treat him/her if his/her grandmother were watching? 9. Review. It's always good to circle back around to important lessons about expectations and how things are going. What if I don't have time to teach behavior? 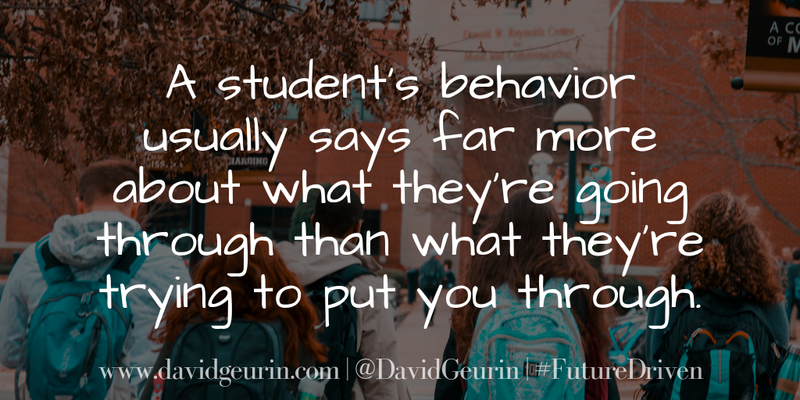 Better question: What if you DON'T take the time to teach behavior? If you don't teach the behaviors you want to see, you'll spend much more time correcting issues that might have been prevented. Make sure your expectations are clear. When you are intentional about teaching the behaviors you want to see, you are being proactive instead of reactive. You don't just wait until there is a problem. Try to see things from the student's perspective and anticipate what reminders they might need. What do you do to be proactive about teaching behaviors in your classroom? Share your strategies by leaving a comment below or responding on Facebook or Twitter. 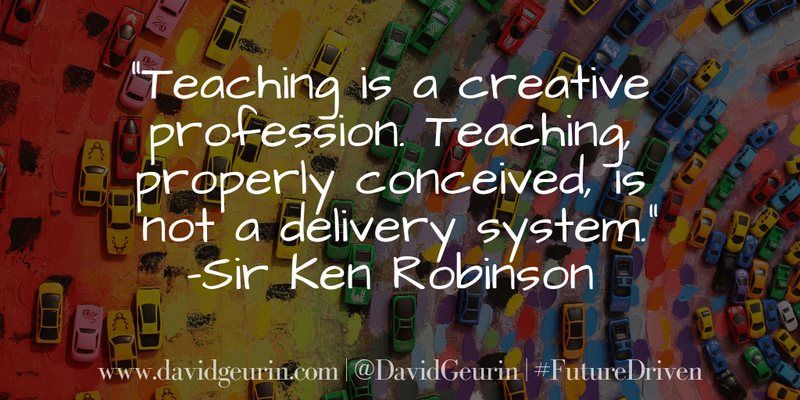 Is it more professional to teach in a traditional manner, the way you remember your teachers teaching you? Or, is it more professional to teach in innovative ways that might be more relevant to today's world with today's students? Is being professional dressing a certain way, fulfilling your obligations consistently, or having a certain type of professional demeanor? Maybe some of those things matter for professionalism. But what matters most? What exactly does it mean to be professional? It seems to me that being a professional is doing things in the best possible way to meet professional goals. If the ultimate goal is the best possible learning for students, then being professional isn't about doing it like it's always been done, or doing it the way you prefer, or doing it by some personal code that might communicate professionalism for the sake of professionalism. What's most relevant for being a professional educator is taking actions and designing learning in a way that works best for the learners you are currently teaching, this group of kids, the ones you are working with right now. Being a professional is understanding the needs of the students. It's seeing things from the perspective of the learner, and then seeking to meet their needs to create the strongest learning environment possible. It's being curious about how your students are experiencing learning. And it's having enough empathy to understand and adjust. It's only natural to teach in the way that's most comfortable for you. I think most people have a teaching identity that says, "I'm the type of person who teaches such and such way." I've even heard teachers make comments like, "That just doesn't work for me." They have a certain idea of their teaching identity. And then they build a story for why their students need the type of teacher they value, the type of teacher that fits their identity. I'm the strict teacher. These kids need discipline. I'm the lecturing teacher. These kids need to learn to take notes for college. I'm the cool teacher. These kids need me to be their friend. I'm the old school teacher. These kids need to value the things my generation valued. I'm the dominion teacher. These kids need to fall into line and comply with authority. But what if your teaching identity isn't really what your students need? Are you willing to reinvent yourself to do what's best for today's learners? All of them? Being professional means doing beneficial things that aren't necessarily your natural inclination. To me, that's being a professional. It's creating a classroom environment that will engage and ensure maximum learning even if that's not what's most comfortable for me. I'm going to step out of my comfort zone to make this better for my students. 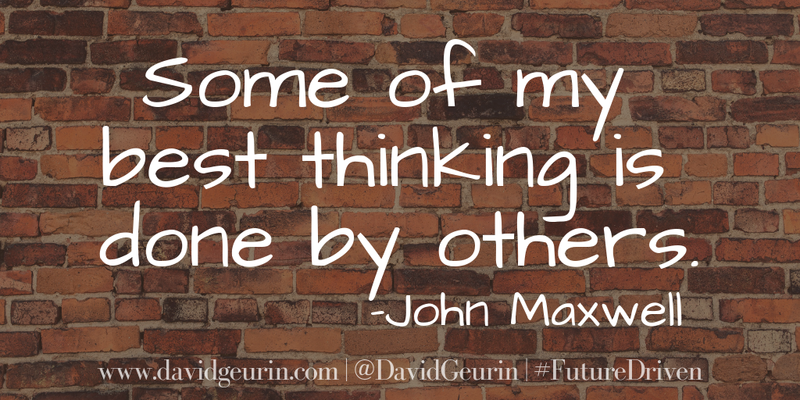 The most professional educators (teachers, administrators, and other roles too) I know are the ones who are willing to do just about anything to make learning better for students. They are willing to adjust their practices to meet the needs of the students. In fact, they are actively seeking ways to adjust their practices to meet the legitimate learning needs of their students. Well, I'm not here to entertain. I'm not doing a dog and pony show. Is making learning come alive a dog and pony show? Is cultivating curiosity being an entertainer? The kids need to learn grit. They need to learn to do the work, even if they think it's boring. They need to learn perseverance. Grit and perseverance are connected to things we find meaningful, relevant, and purposeful. Do students find your class meaningful, relevant, and purposeful? I bet you apply effort to things you find meaningful. In fact, every action you're motivated to take is because you attach some meaning to it. You might even hate doing it. But you attach some meaning to it. Or you wouldn't do it. What about your students? What are you doing to make learning more meaningful for your students? If they aren't motivated, it's because they don't see the meaning in what you're asking them to do. At least they don't see enough meaning in it, yet, because when they do, they will engage. What adjustments are you making? A professional educator is seeking to make learning irresistible. 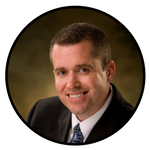 A professional educator is seeking to meet the legitimate learning needs of the students. A professional educator is willing to set aside personal preferences for peak practices. A professional educator is enthusiastic, excited, and energetic about learners and learning. A professional educator isn't satisfied with going through the motions or arriving at good enough. There is a desire for continuous improvement that starts with the person in the mirror. What are the actions, attitudes, and approaches I need to take to succeed with these students? What do you think about this riff on professionalism? Does it resonate with you? Leave a comment below or respond on Facebook or Twitter. I look forward to reading your comments.